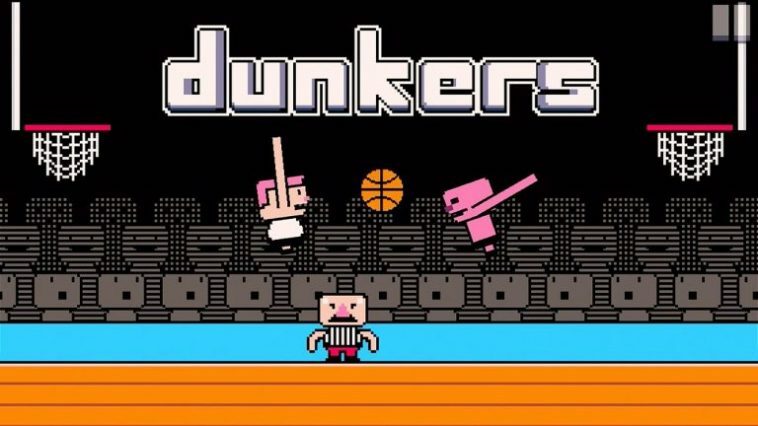 Dunkers is a funny Basketball game and has one million downloads in its first week. Frankly speaking, later attributes heavily over the 1st one (Idea) because internet has seen some great ideas, well thought executions but the result “Disappointing Failure”. This is certainly not in the case of the new IOS/Android game called “Dunkers“. It is an amusing video game using old fashioned characters (8 bit) and graphics (uni-pod body and protracted arms). It is very hard not to smile when you play the game as I tested it out myself. The game is so mesmerizing by all means, one hour on it passes in a flash. The android version of the game has not caught with the downloads of IOS (more because it has been heavily featured by ITUNES) and the game currently sits at number 1 spot in sports app.